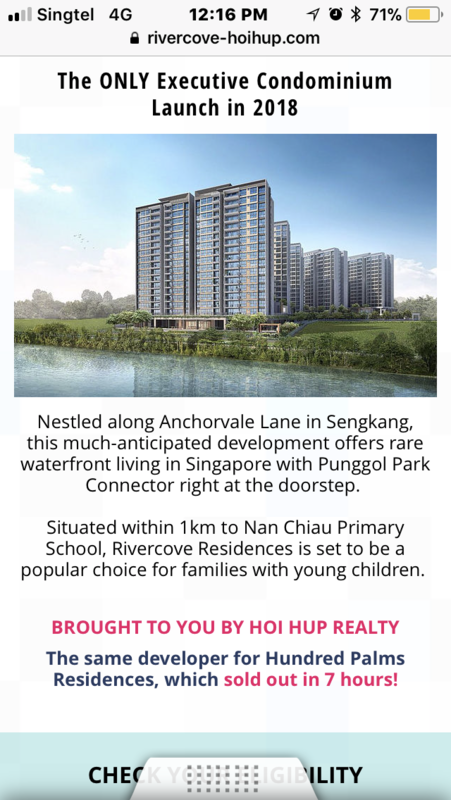 Rivercove Residences EC at Anchorvale Lane by Hoi Hup Realty is at the west edge / fringe of Anchorvale. 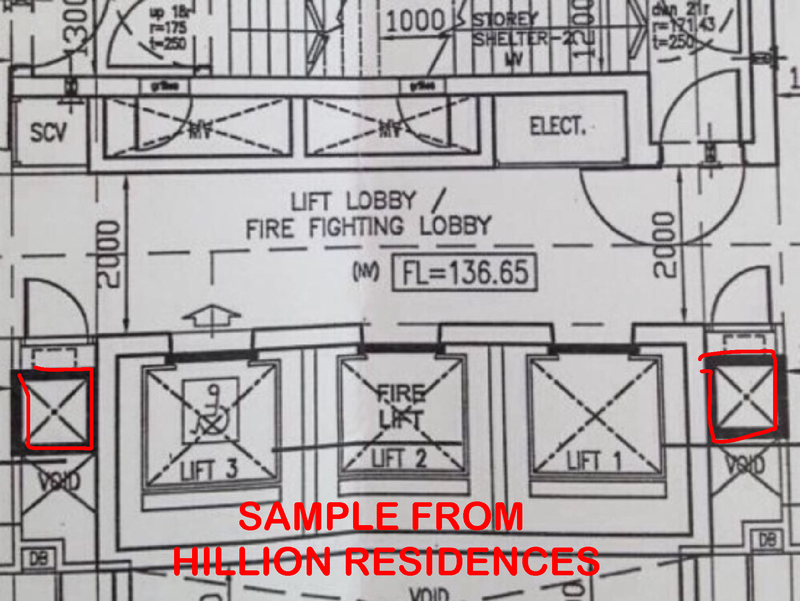 Hoi Hup Realty is the same developer of 100 Palms. 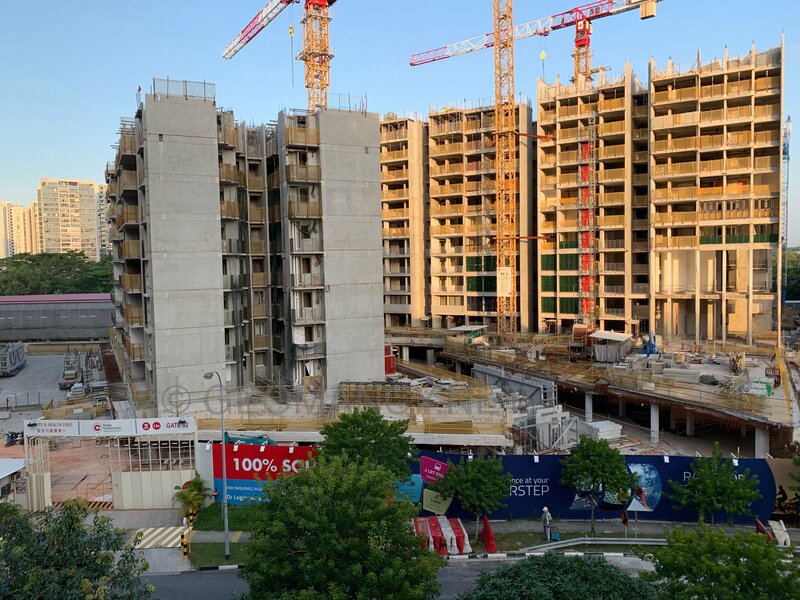 This development may not be as popular as 100 Palms. 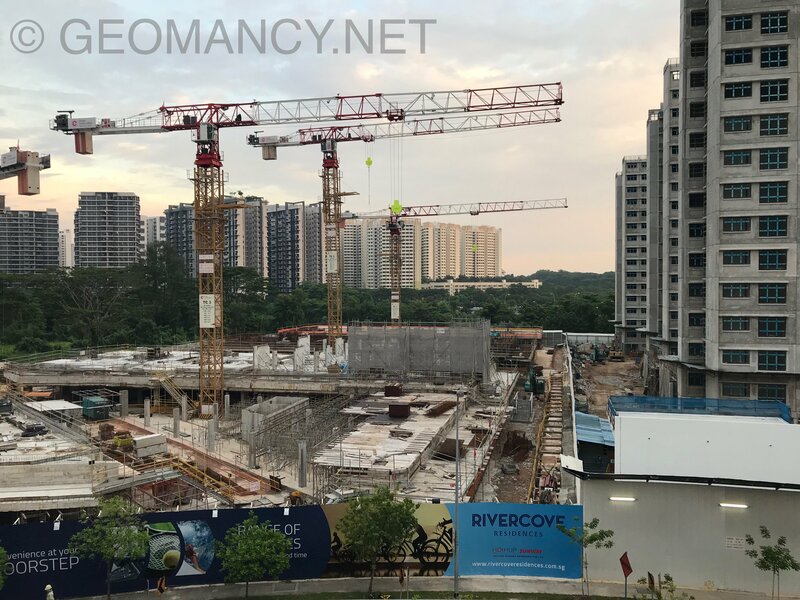 As 100 Palms site is at the main road of Yio Chu Kang. With a famous school Roysth within 1km distance from it. This site is more remote or further away. Thus Left to be seen if this development can also score a 100% sellout during launch...? hmm... One saving grace is that brand new ECs are almost non-existent this year. 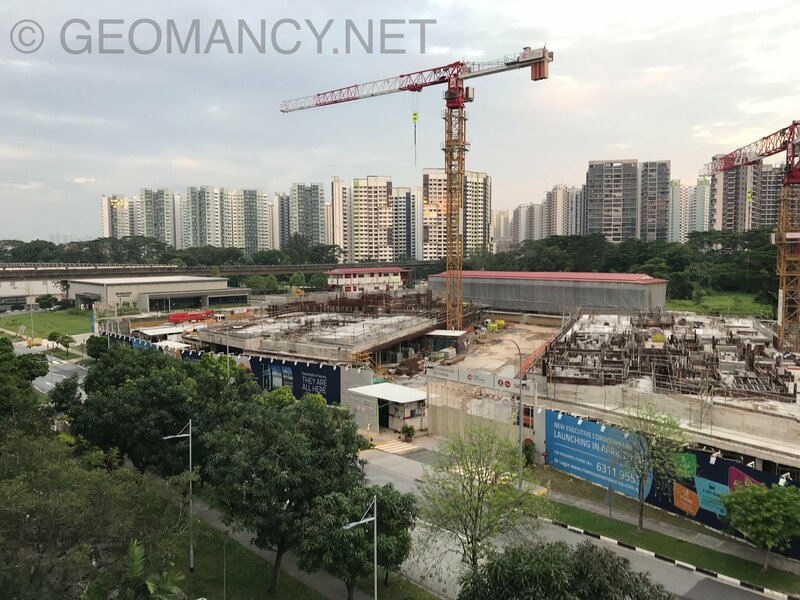 For those who are not familiar with Sengkang. 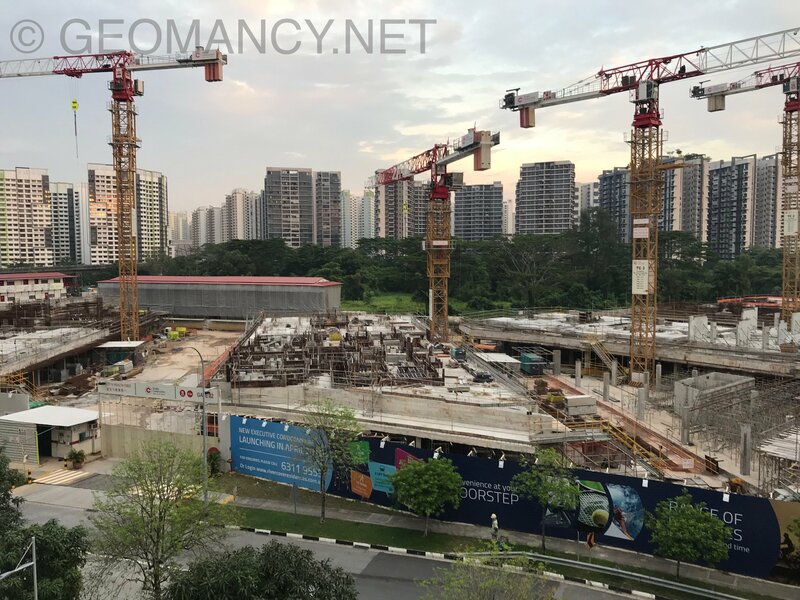 Sengkang is sub-zoned into Sengkang East or Sengkang West. 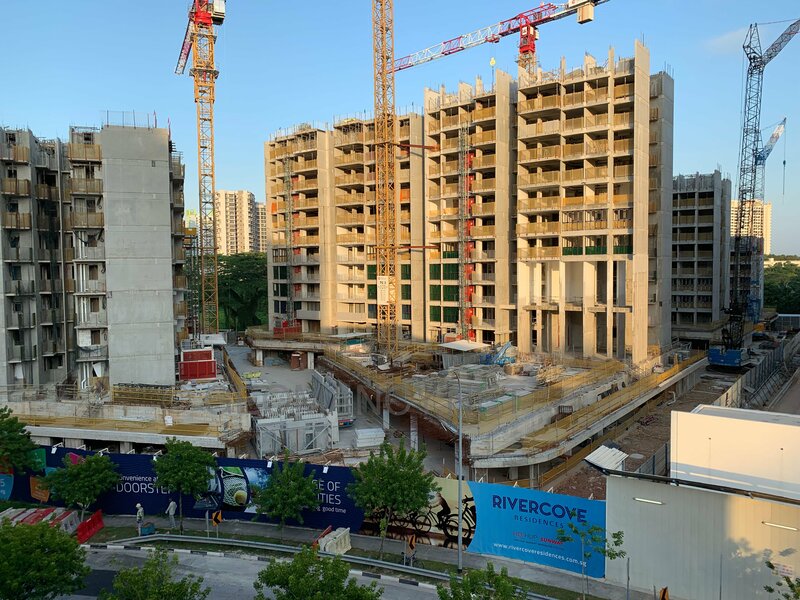 Many of the HDB flats in Anchorvale starts from a 3xx. But since this being an EC, it's naming convention can be in two digits numerals like block 30 etc... 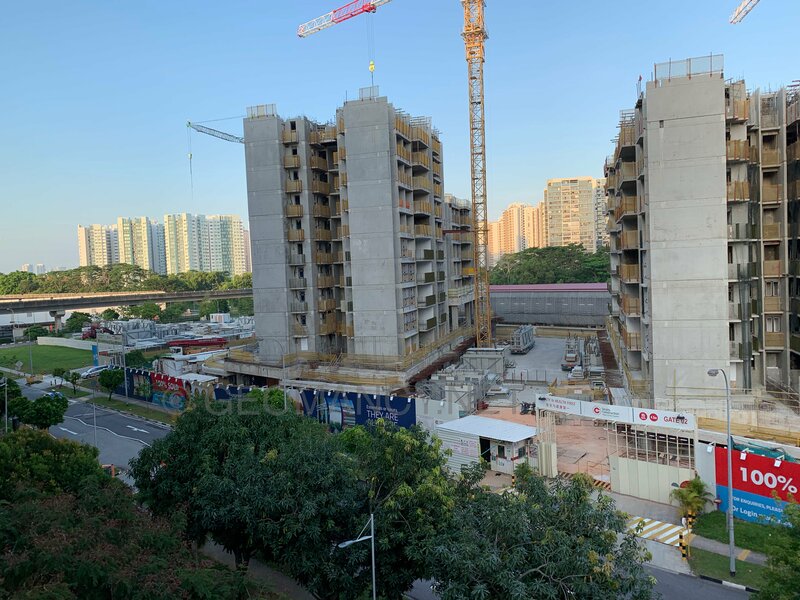 However, the main address of the development will have to use 3xx Anchorvale Lane. I will cover more about this development as soon as the site plan and floor plans are available. 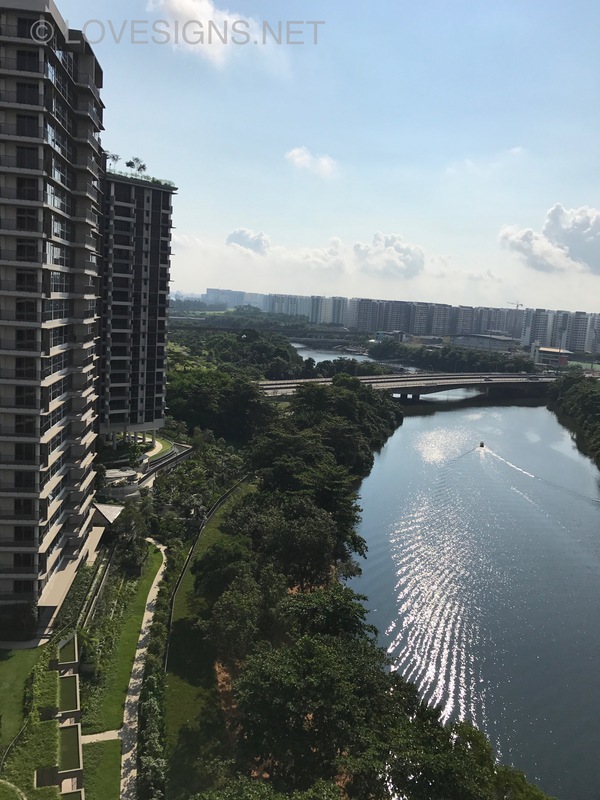 These photos of Sungei Punggol shows the beautiful view of this waterway. 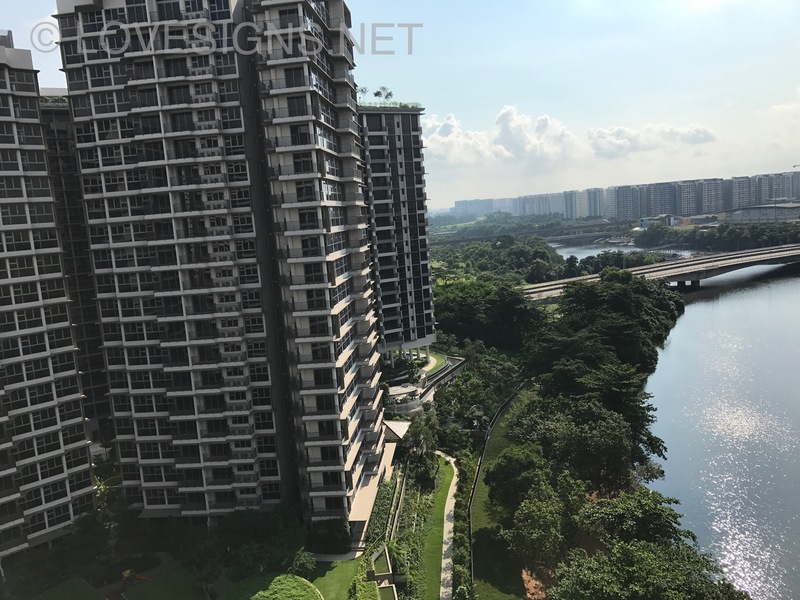 Photos were taken directly opposite Rivercove Residences. 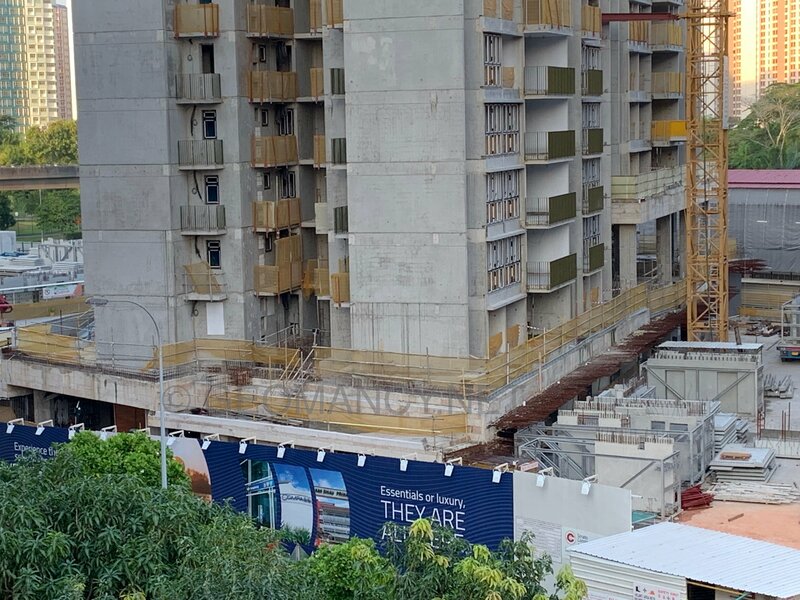 These photos were taken from Rivertrees residences .. 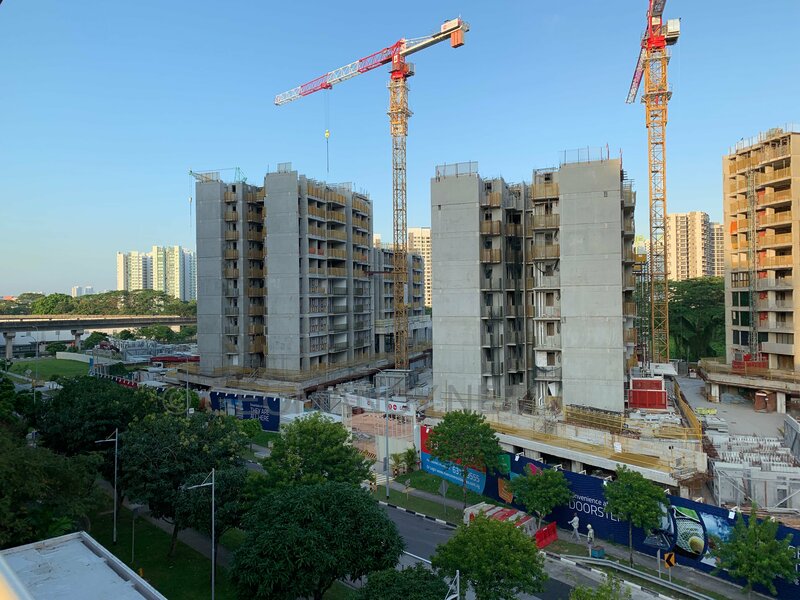 If a unit in Rivercove residences were to also face Sungei Punggol; it may get the same views but then; the unit could face the afternoon sun. Apologies these photos were taken from an Iphone 7 against the backdrop of the morning sun. This is less relevant to the future residents of Rivercove Residences. 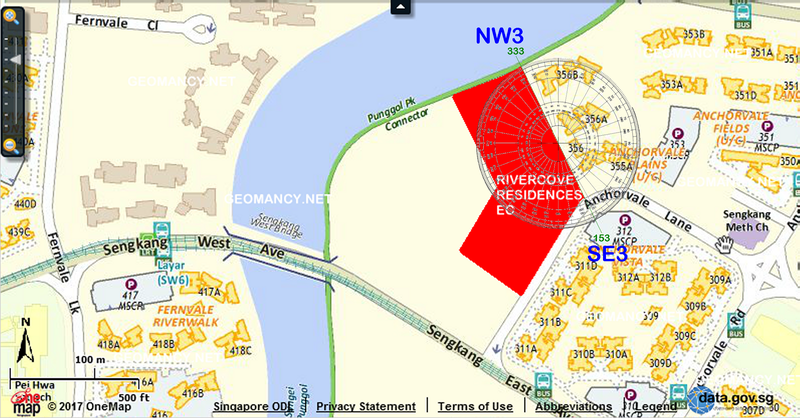 Further down Sungei Punggol is a future road linking the existing Buangkok Drive (in red) towards Yio Chu Kang Road. 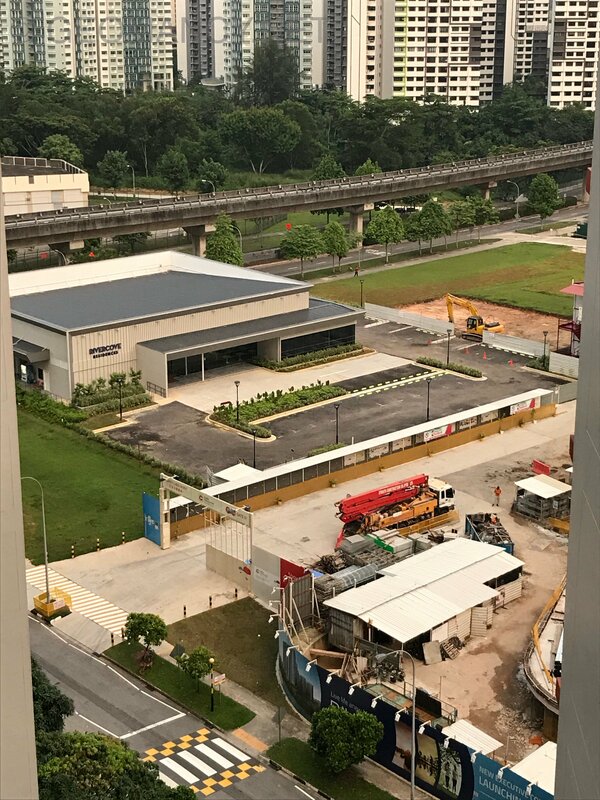 This future road will be an additional avenue for residents in Sengkang to have more artery roads leading into Sengkang West. Especially since Buangkok Drive connects directly towards the KPE. 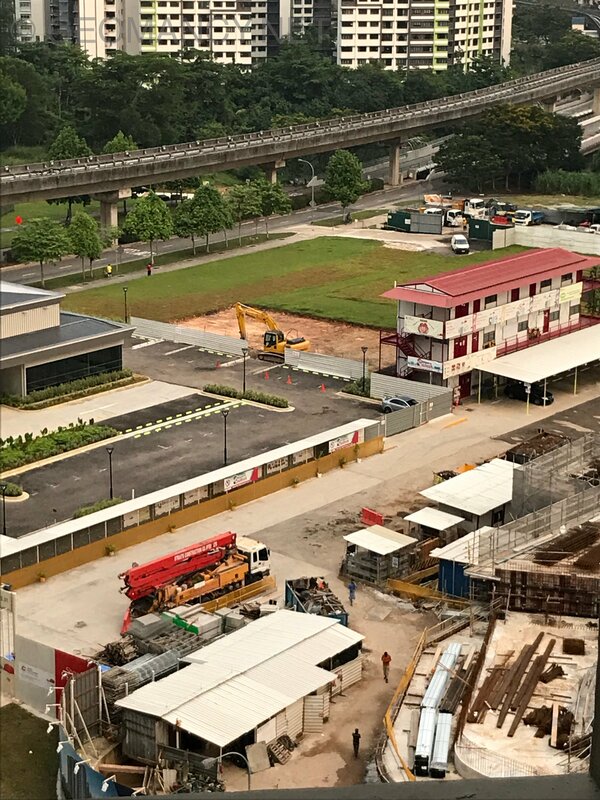 Thus another alternative slip road to Seletar Mall and Anchorvale. In the past, this narrow strip of the mouth of Sungei Punggol was known by the villages and taxi-drivers as "Tongkang Pecha". This was because, many old "broken" down sampangs and wooden boats were simply abandoned at this Sungei Punggol. (Sungei means river). Now that you know a little history of this area. And yes, Jalan Woodbridge was also renamed to : Gerald Drive. 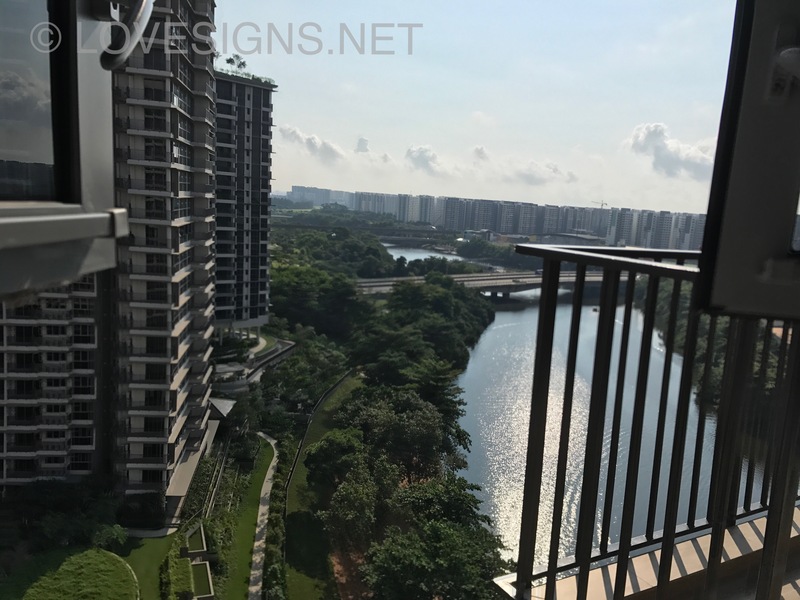 As this was requested by the developer: MCL for their project called Seletar Springs Condominum. The last authentic Kampong is still around at Lorong Buang Kok. One can get to it via the PCN... go explore your potential new neighbourhood. In 1954, there was a road known as Jalan Tongkang Pechah. What remains of the road was demolished. 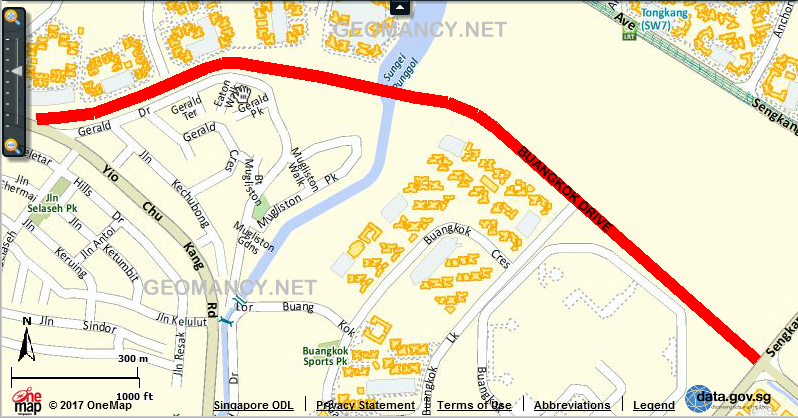 And today, part of this road is within Seletar Springs condominium. Why was this road named: "Jalan Tongkang Pechah?" 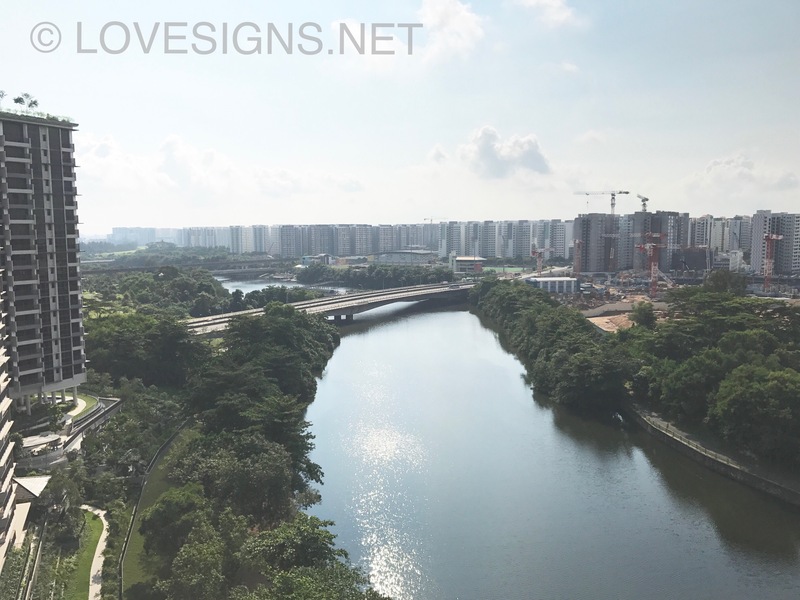 In the past, Sungei Punggol or the banks of this river was the remains of broken tongkangs. Thus the name Tongkang = boat and pechah = broken in Malay. 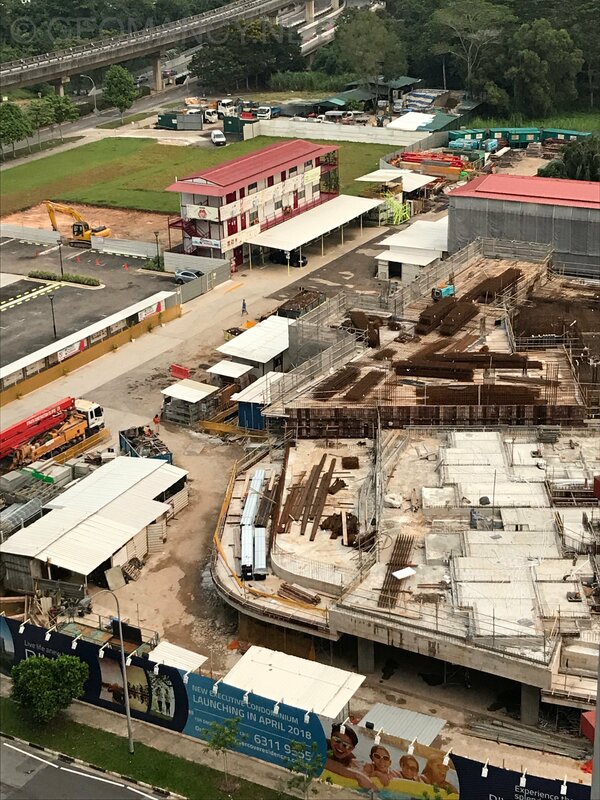 Today, the last Kampong in Singapore is still there. But perhaps in a decade or two.. maybe no more. 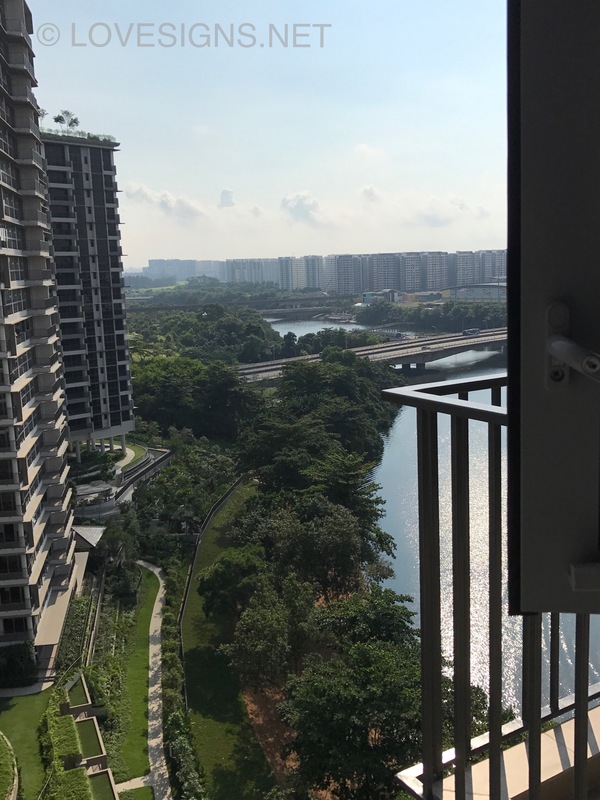 This is also how HDB Buangkok Edgeview gets it's name. 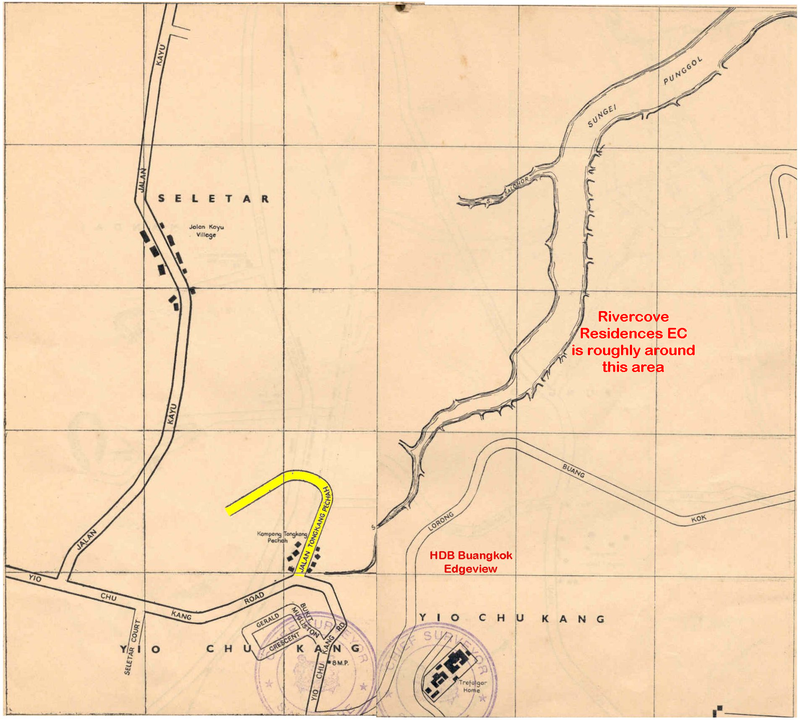 As in the past, see map, there is a road : Lorong Buang Kok where this development resides today. 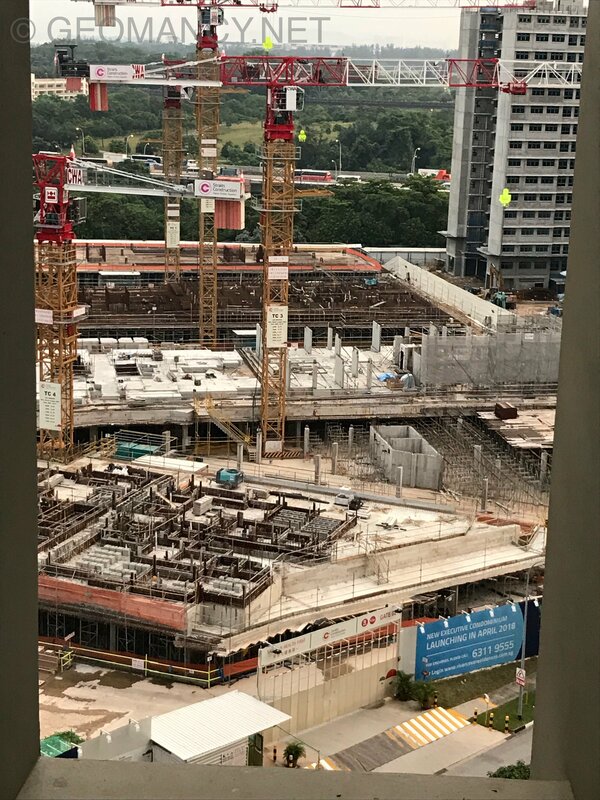 Case Study: Confirming the accuracy of the sales brochure with actual street map from onemap.sg or Can I rely on the sales brochure site map's accuracy? 2. Blocks 30, 32, 34, 36, 38 and 40 seems to be facing either 333 degrees = NW3 or SE3 (153 degrees). 2. The good news is that the actual Sale brochure compass directions shows 150 degrees and 330 degrees respectively. 3. Thus there is only a small tolerance of 3 degrees difference. Here the earlier onemap shows 153 and 333 degrees respectively. 4. These degrees are well within the comfort margins of either a NW3 or a SE3 compass directions. 5. This means a high confidence level with these readings. And the compass readings on this sales brochure can be trusted. 6. In this development stacks 17. 18, 23, 24, 27, 28, 29, 30, 33, 34, 39 & 40 face NW3 facing direction. 6.1. While stacks 19, 20, 21, 22, 25, 26, 31, 32, 35, 36, 37 & 38 face SE3 facing direction. 1. It is remarkable how our brain perceive objects. 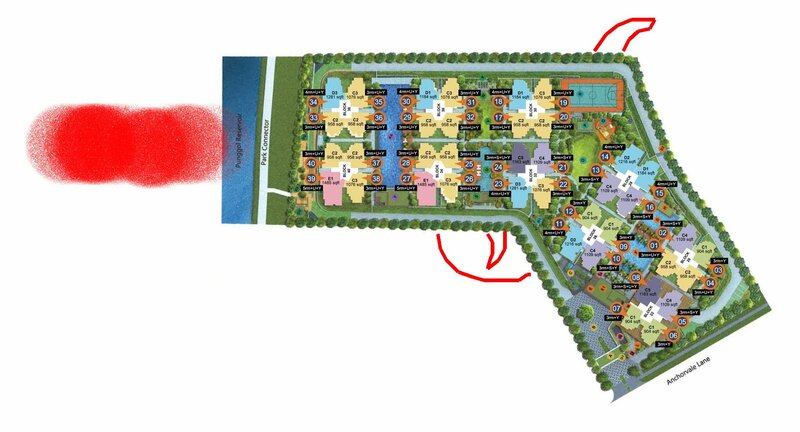 If the site plan were to be placed as follows, don't you think this reminds one of a pistol? 2.2 The above symbol is easily recognisable. Thus, I don't need to mention it. It is an auspicious symbol. 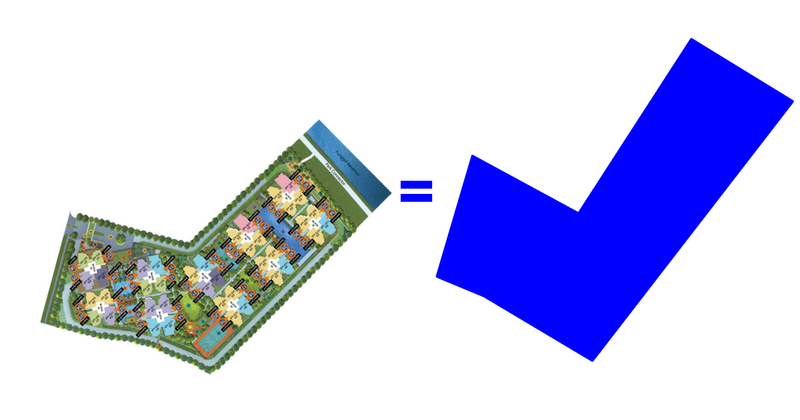 No need to create an auspicious 8 block plan like some developments. 2.3 I think the developer may even if reading this, use it to boost their sales? 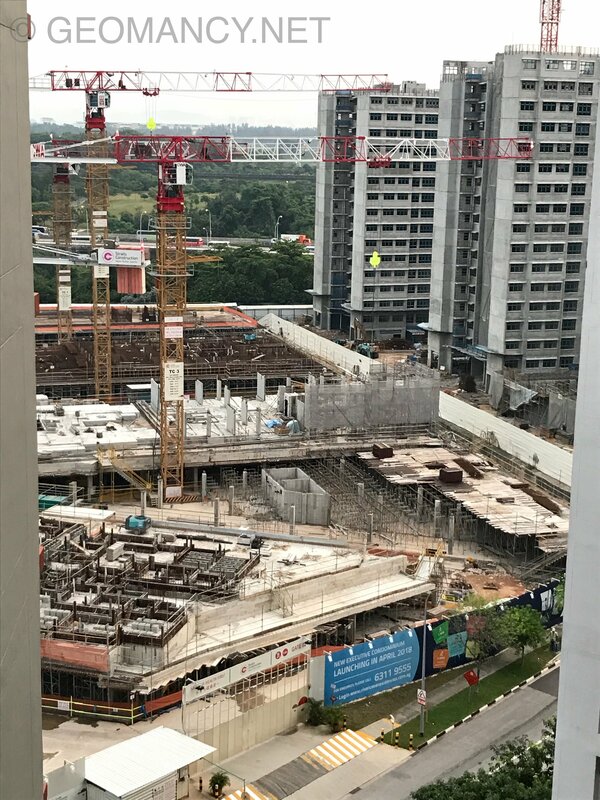 As they can finger ... a certain geomancer ... says this is a good sign.. hehehehe..
2.4 Maybe future residents, here can do a GROUP BUY of...... Nike shoes! Hahahaha! Remember, can also chip me in on your group buy: Guys and Gals? 3. 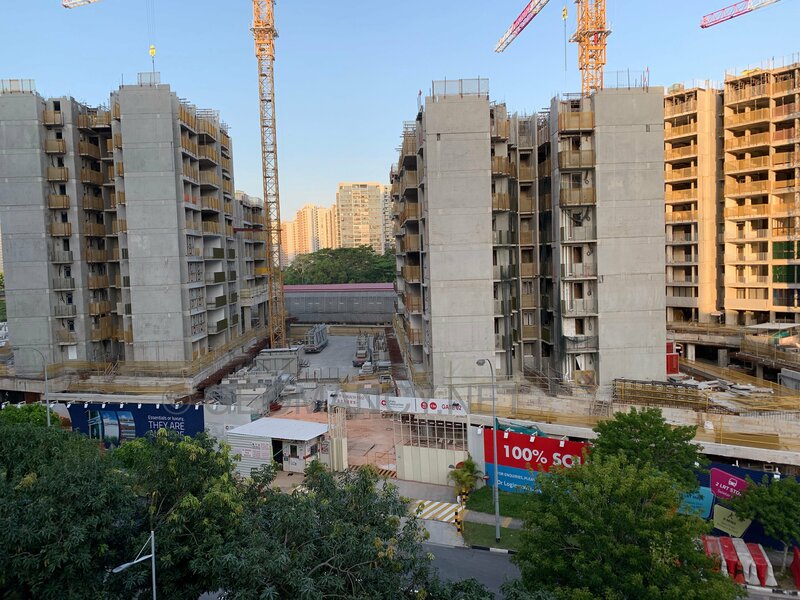 The good news is that the planners did a remarkable job in planning the ten (10) blocks in this development. 3.1. 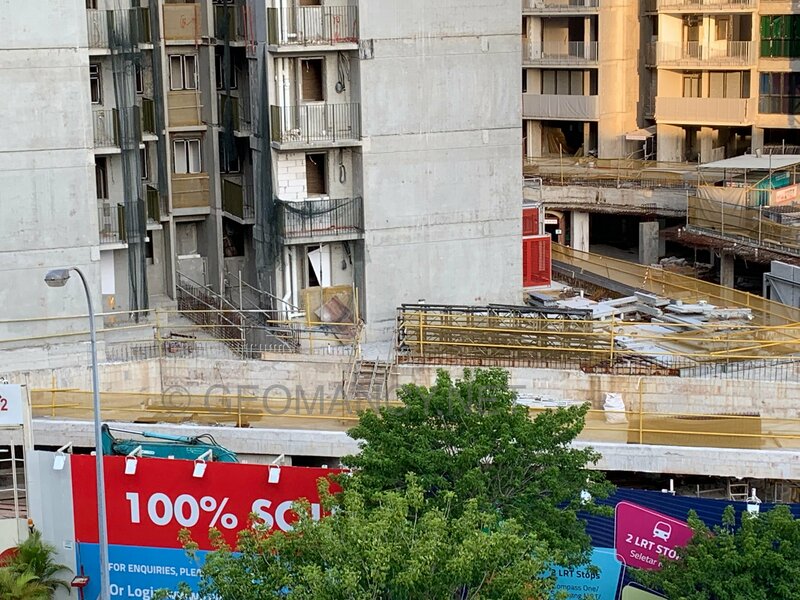 As well as each of these blocks are of the "proven" point-block type of flats. 3.2 A variant of those mid-1970's HDB 5 bedrooom type of blocks. 3.3 These blocks are considered safe design as this allows qi (chi) to circulate more evenly throughout each block even if each of the 5 blocks have a siamese twin (not stuck together) but a small gap between them is acceptable, here. 4. The only slight concern is Block 32's close proximity to Block 26. Where Block 32's stack 21, 22 and 23 may have poison arrows (IF ANY) aimed towards Block 26's stack 11, 12 or 13 (IF ANY). Those looking at Block 26 stacks 11, 12 or 13 should be more concern of this consideration (IF ANY). Stacks 01, 02, 07, 08, 11, 12, 13 & 14 have facing directions of N2 facing. Stacks 03, 04, 05, 06, 09, 10, 15 & 16 have facing directions of S2 facing. Do take note that some of these stacks may be afflicted by an issue of "Fire at Heaven's gate". Where kitchen may be at NW sector. 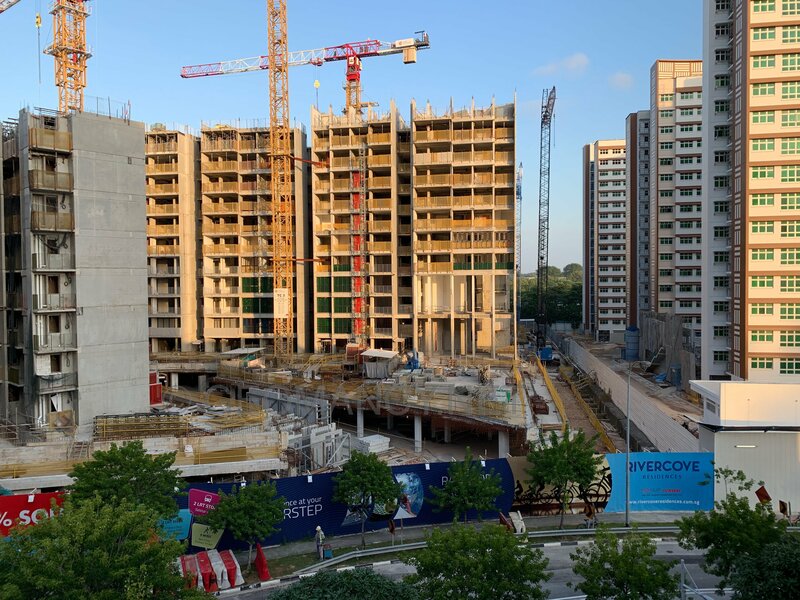 Case Study: A development such as this often has a bin centre. Often the bin centre is along the access road/main road. 1. 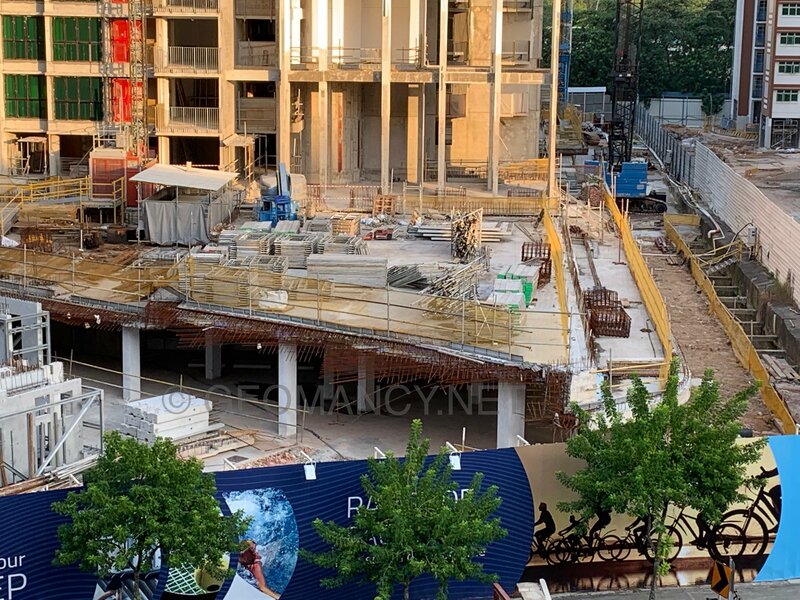 For this development, the bin centre although is at basement 1, is in close proximity to Block 22. And the closest stack is #06. The other closest stack is #05. Case Study: Each block also has shared common central rubbish bins on each storey. Before signing on the dotted line, always insists on looking at an actual block plan. 2. Thus I would ask the agent to obtain the block e.g. Block 22 and examine exactly where the common bin chute is. 2.1 I would personally not want to buy a unit with the bin chute just beside the main entrance of that unit. 2.2 Not only that after 5 years, some have a hard time selling such a unit. 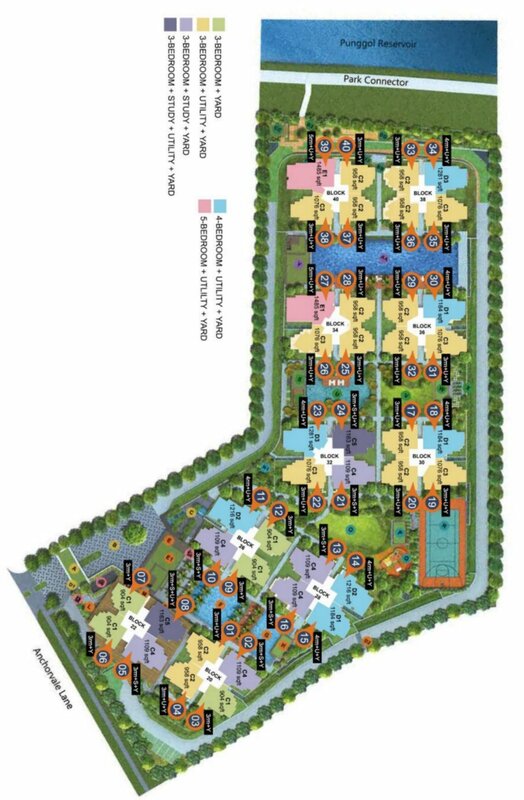 2.3 Or if so may have to give further discount in order to clinch a sale (re-sale) of the unit. 2.5 In fact, should get a better layout with the exact block and each of the four units to understand the central rubbish bin. 2.6 Please be careful! Some developments like this one has TWO (2) yes! TWO bins. Often one bin is for common rubbish. And another can be for Recycling. 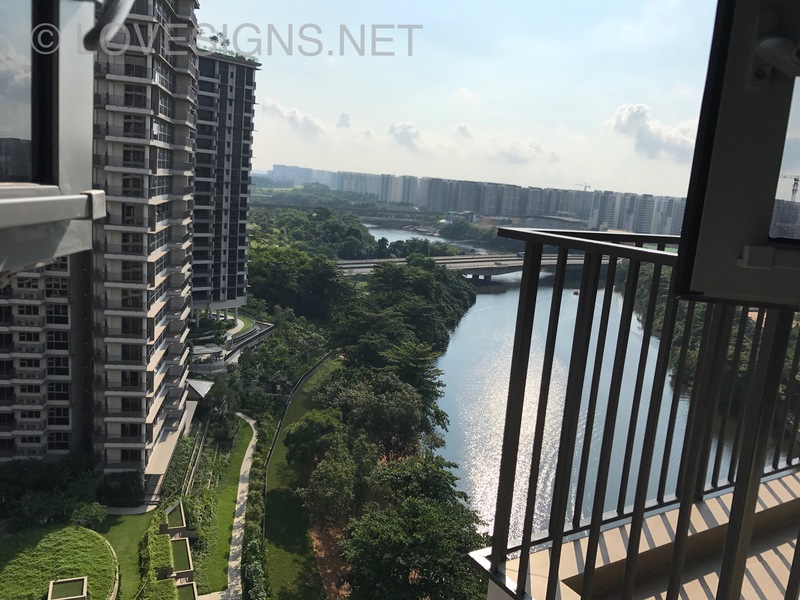 2.7 All new HDB flats taht T.O.P. recently are fitted with both a common and recycling bins. HDB can afford to place these two bins side-by-side. 2.8. 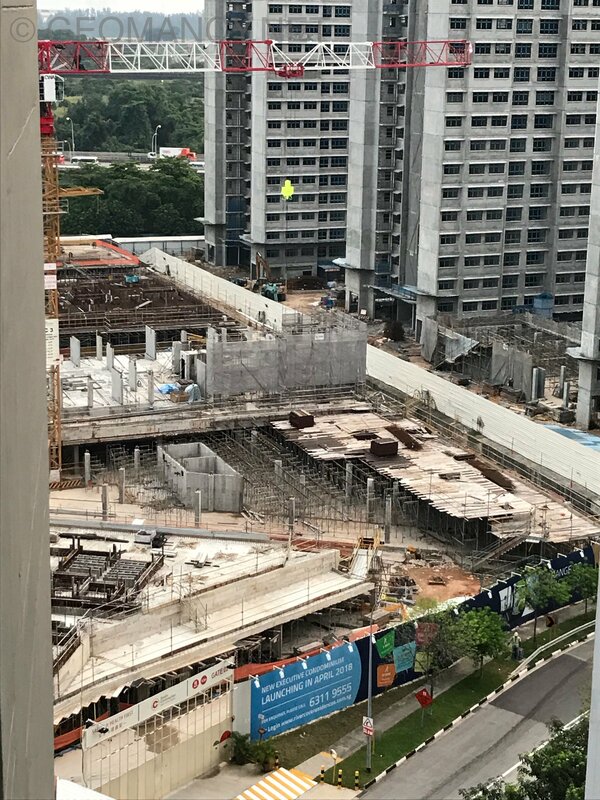 But in an EC or condo, if two bins are needed; then often one could find each bin similar to that of the Hillion Residences at Bukit Panjang. any reviews of which stack is good for fengshui based on unit layout? So sorry not now. As my clients are also looking. Maybe much later. After 100% sold or later. Photos taken on 12 January 2019.